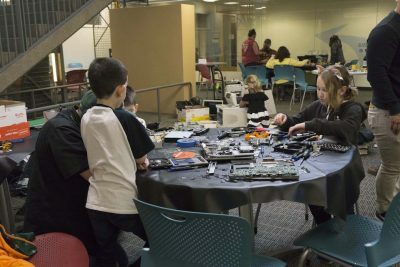 On April 13, 2018, the Resource Center for Students with Children held the PSU’s Bring Your Kids to Campus Day. 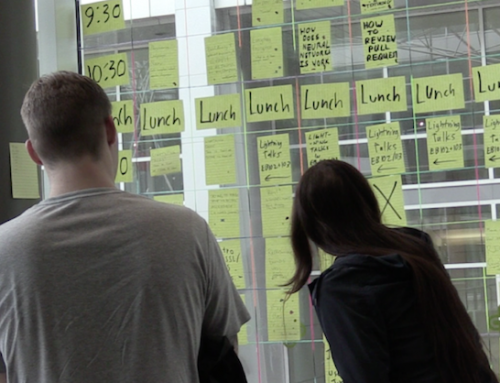 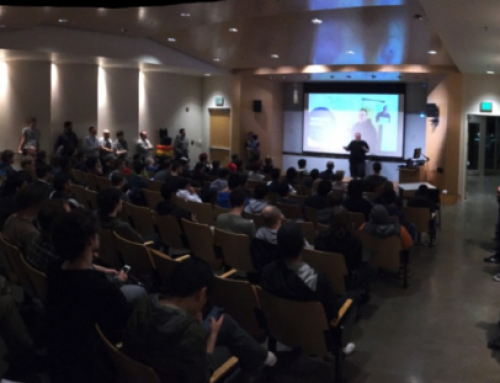 It was set up as an activity filled experience for parents wanting to introduce their children to the university. Departments and colleges on campus hosted a number of kid-friendly activities. 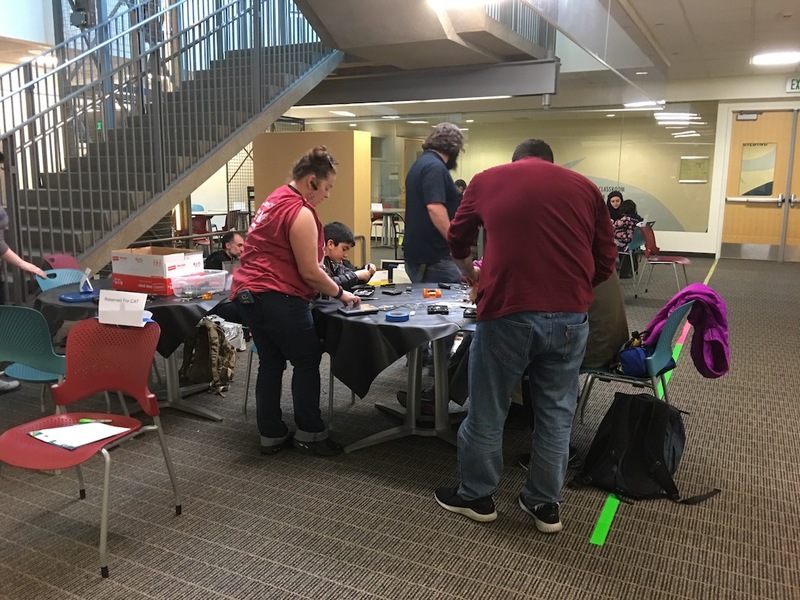 A very popular stop at this event was the hands-on IT Anatomy activity that we set up in the Lower Level EB Atrium area. 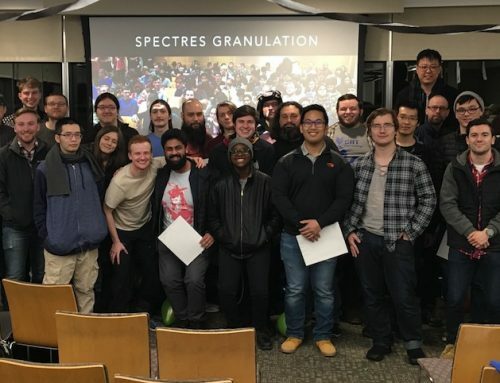 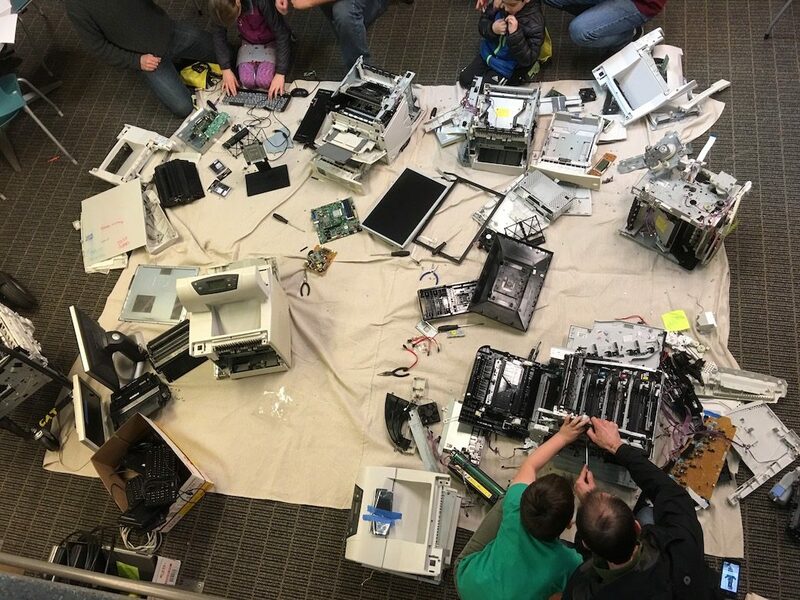 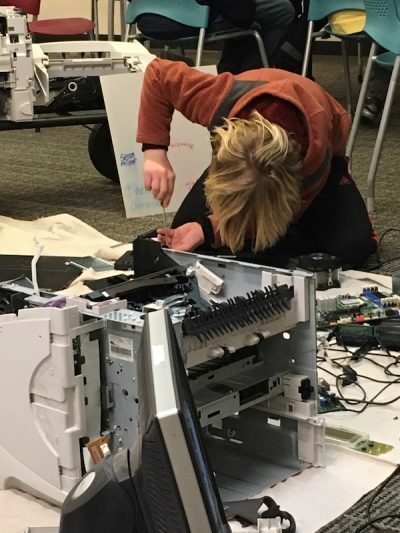 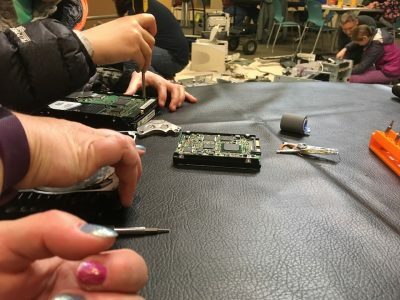 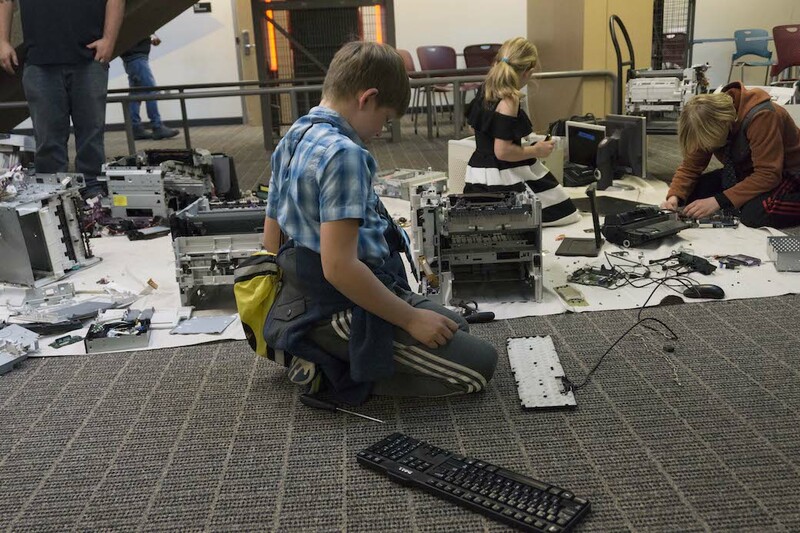 Kids and their parents were provided with screwdrivers and other tools so that they could dissect old PCs and printers, looking at what’s inside and what it takes to build them. CATs were on hand to assist and describe what they were looking at. Some of the kids and their parents stayed there for hours. 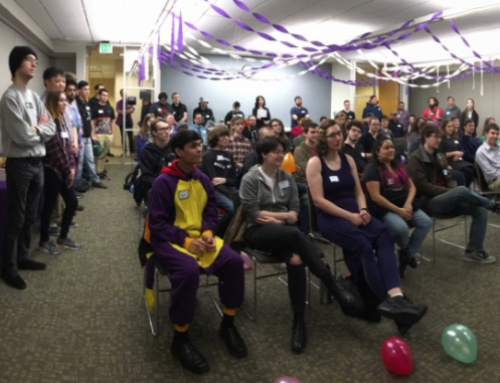 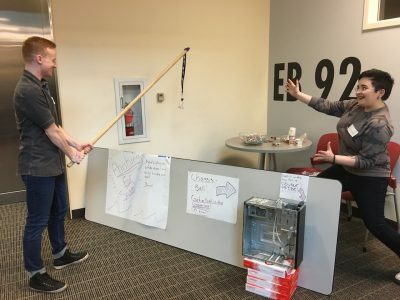 Our contribution included other fun activities such as a “phishing booth” and craft building using some of the computer components. The CAT’s IT Anatomy was the brainchild of Brittaney Califf who had a number of enthusiastic CAT volunteers on hand to run event.